A retirement-friendly tax code leaves Pennsylvania retirees more money to spend on housing and hobbies. 3. Do You Pay Taxes on Pensions From the State You Retired In or the State You're Living In? Deciding where to retire affects both your lifestyle and your wallet during retirement. Part of successfully planning your retirement budget involves determining how much you'll have to pay in taxes each year. Thanks to differences in how states treat retirement income, your total tax bill can vary significantly from one state to the next. Fortunately for those considering settling down in the Keystone State, Kiplinger named Pennsylvania as one of the top 10 tax-friendly states for retirees because it doesn't tax pensions, Social Security benefits or other types of retirement income. Pennsylvania is one of very few states to exclude virtually every type of retirement income from taxation. Public and private pensions, railroad retirement benefits and all Social Security income are excluded from taxable income for tax purposes within the state. Retirees in Pennsylvania enjoy significant tax breaks when it comes to income taxes, but they are still subject to other types of taxes. Most property owners in the state pay a tax equal to 1 to 2 percent of the assessed value of their home. Seniors over the age of 65 or widows over the age of 50 with an annual household income of less than $35,000 may qualify for a property tax rebate of up to $650 per year. Seniors may exclude up to half of Social Security when determining income requirements for this rebate. The Pennsylvania state sales tax is a modest 6 percent sales tax statewide, though individual municipalities may tack up to 2 percent more on this figure. Food, clothing, heating fuel and many types of medication are exempt from sales tax. Inheritance taxes vary from 4.5 to 15 percent as of 2013 depending on whom you leave your assets to. The state exempts property that spouses co-own or inherit from one another from the inheritance tax. Depending on the terms of your pension, your age and your specific Social Security benefits, you may increase your Pennsylvania tax burden or reduce your benefits if you choose to work during retirement. Income earned by retirees is subject to Pennsylvania state tax, which features a flat rate of 3.07 percent as of 2018. The state offers no personal or standard deductions, but it does allow deduction, credits and exclusions for things like unreimbursed work expenses and health care. While seniors are exempt from pension and Social Security taxes in PA, the federal government may still tax this income. As of 2018, retirees who file individual tax returns must pay taxes if they receive more than $25,000 in total pensions and other income plus one-half of Social Security benefits each year. 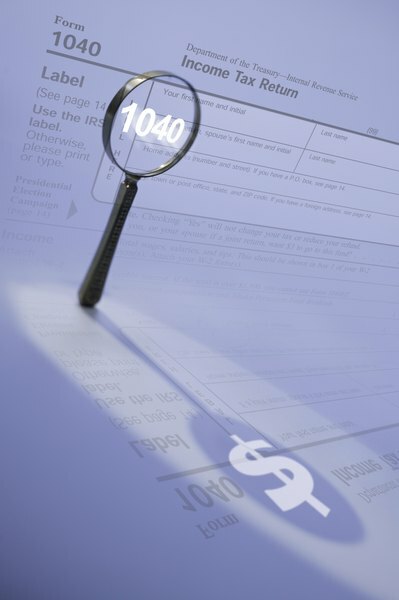 Married couples must pay federal taxes if total pensions plus half of Social Security income exceed $32,000 per year. One item that is changing with the TCJA, though, is the SALT deduction, which allows you to claim any local taxes you pay, including property taxes. You'll only be able to claim up to $10,000 in state and local taxes starting with the 2018 tax season. This could affect seniors who are living in high-value properties, even if they don't have state income taxes to add to the deduction. However, the increased standard deduction could offset this, since it is almost doubling under the TCJA. For those retirees still required to file, this could offset the need to itemize. If you're filing your 2017 taxes as a retiree, you'll still be exempt from filing as long as your income for that tax year remained below $25,000 in pensions and other income with half of your Social Security benefits added to it. If you're married, this amount rises to $32,000. "Lower, Middle and Upper Class Income Levels"